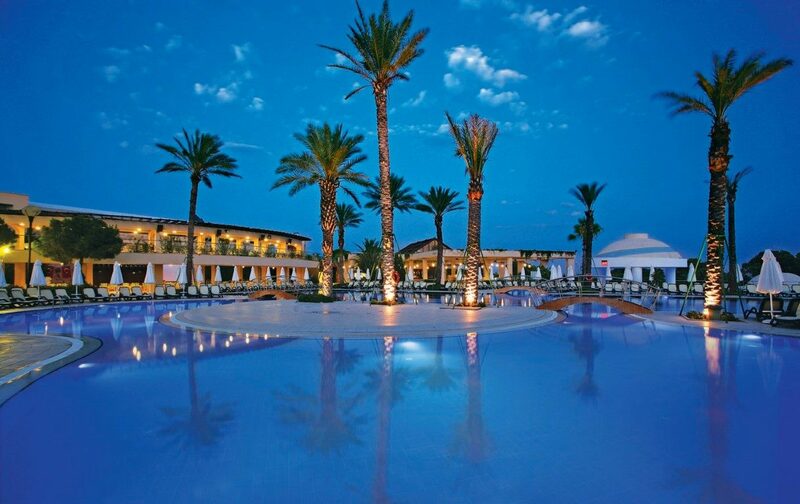 Nestling in lush pine trees by a golden stretch of beach in Belek is Limak Atlantis Deluxe Hotel & Resort. 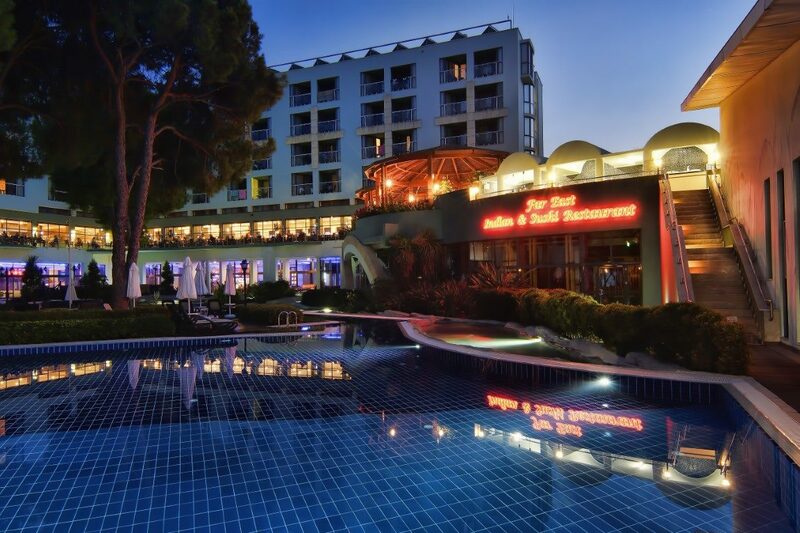 This luxury resort combines a modern minimalist style with a plethora of on-site amenities, tasty dining, and chic guest rooms - everything you could need for your holiday on Turkey's Mediterranean coastline! The sunbathing and swimming scene hits the spot. Enjoy one of the five pools including a pool with Jacuzzi, animation pool, relax pool, and indoor pool. Be 'Sultan of The Day' in a beachside pergola for the ultimate pampering. Get active with a game of tennis or dance class or ride a jet ski. The kids can have fun at the children's pool and club or on the water slides. 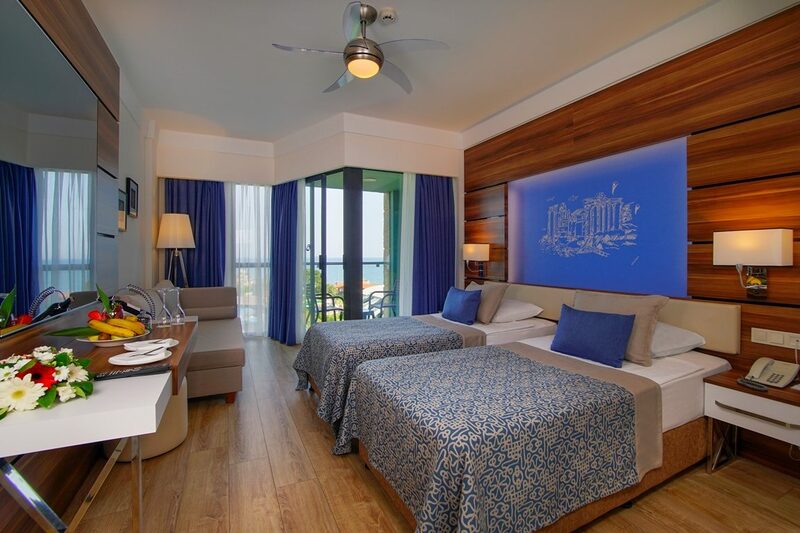 Relax and unwind in the stylish surrounds of your spacious guest room. Welcome touches such as a 32-channel TV, minibar, complimentary Wi-Fi access, comfy beds, and a sofa set the scene for your stay. Sit and enjoy a drink on your private balcony as you watch the colourful local sunsets over the sea, pool, or gardens. The on-site bars and restaurants tempt your taste buds when it comes to food and drink. 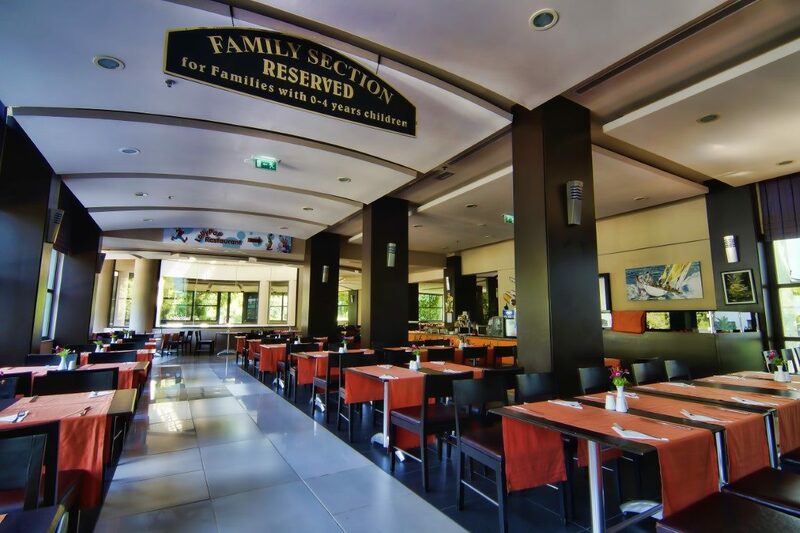 The main eatery is a serve-yourself affair at mealtimes or at dinner you can feast on Turkish, Italian, Japanese, Mexican, and fresh fish-based dishes. With six bars to choose from, you're never too far from a refreshing drink, live music, and entertainment. 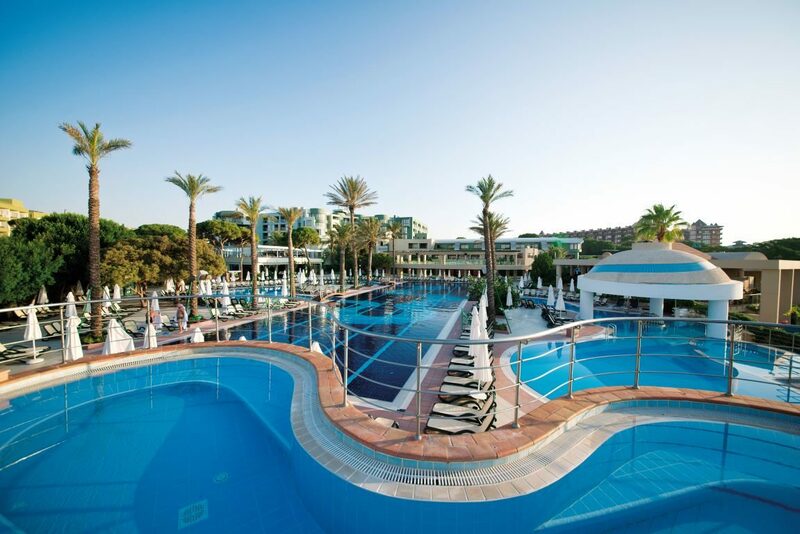 Discover why Limak Atlantis Deluxe Hotel & Resort is a popular place to stay for Turkey holidays. Limak Atlantis Deluxe Hotel & Resort offers plentiful facilities, including: four outdoor swimming pools - pool with Jacuzzi, children's pool, animation pool, and relax pool - indoor pool, four water slides, a stalactite cave, sun terraces with sun loungers and parasols, six restaurants, six bars, Wi-Fi in selected areas, and 24-hour reception. The fitness area comes with a gymnasium, fitness sessions, sauna, Jacuzzi, and relaxation area. You can also be 'Sultan of The Day' in a luxury beachside pergola with food and drink service. The water sports centre offers motorised and non-motorised water sports including, paragliding, banana boats, jet skis, surfing, and sailing. Sports-wise, there is a games room, squash, boccia, darts, archery, water polo and volleyball, mini golf, table tennis, tennis, open-air chess and backgammon, aerobics and dance lessons. The Children's Club offers fun activities for tots to teens. 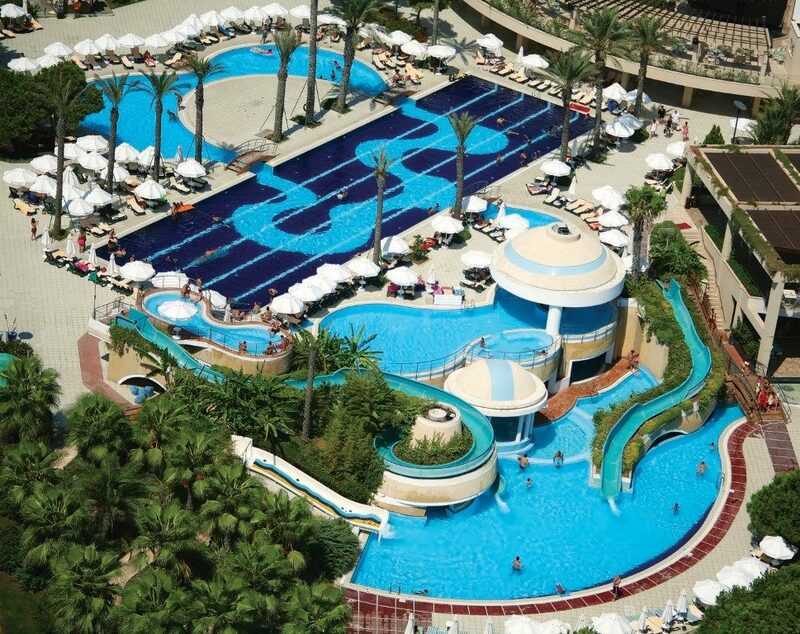 This Belek hotel has a total of 375 modern guest rooms, comprising Standard, Family, Jacuzzi Suite, and Duplex Rooms. Standard Rooms feature a bathroom with shower and/or bathtub, minibar, centrally-controlled heating and air-conditioning, safe, telephone, 32-channel TV including hotel-information and music channela, sofa, hairdryer, complimentary Wi-Fi Internet, and balcony with sea, garden or pool views. The main restaurant serves a tasty selection of local and international buffet-style fare at breakfast, lunch, and dinner. Dinner choices include traditional local fare in Dynasty Turkish Restaurant and tasty pasta and meat dishes in Laila Italian Restaurant. A la carte options bring sushi and Japanese cuisine in Sushida Restaurant, fresh fish specials in Poseidon Fish Restaurant, and also Mexican-inspired favourites in El Saguaro Restaurant. Lobby Bar opens around-the-clock for drinks and entertainment. Lycia Bar is a snack restaurant during daylight hours and transforms into an amphitheatre with live music after dark. The relaxing Dolphin Bar serves hot and cold drinks during the daytime and Beach Bar combines cooling drinks by day and live music after dark. Ocean Bar hosts the friendly animation team and evening entertainment including live music, dancing, and shows. Discotarium Bar is the place for late night dancing and fun too.